Writing in my morning, seeing more life in these momentary lessons, while seeing my life develop, not fade. Writing in the morning as I always do, and to what — the moment itself, caffeine and composition. Young couple leaves the shop and me here solitary finally with my thoughts. Keep writing, assemble the book before my birthday. Keep telling self. But if I don’t, then oh well. Long as I’m writing. Lessons in Life, giving me more Life, more education in the realization that I’ll be their age one day, the four people in front of me at that long center table, easily in their 80s. 23 days till I’m 39, and I grieve. I complain, and why. Why, I keep asking myself. No idea. And who cares… just keep writing. 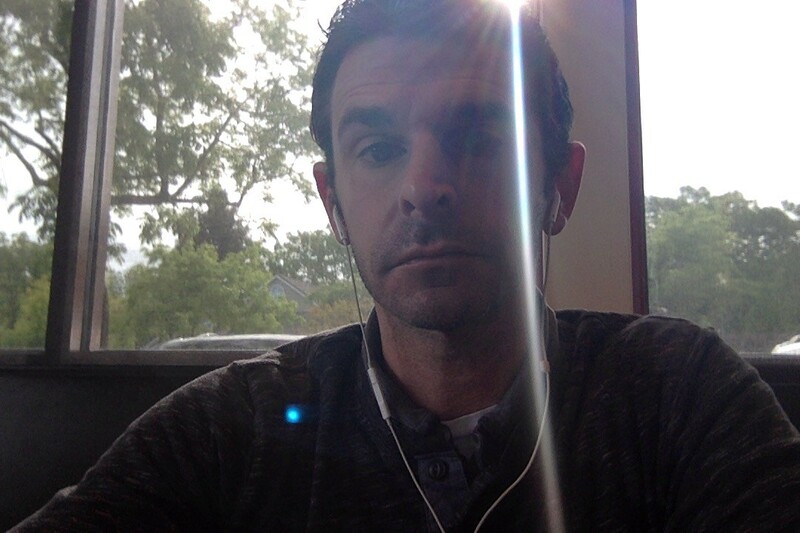 The day ahead, not caring… re-writing my reality and story. Wanted to wake at 4am this morning, but of course didn’t, then I thought while taking the Central Windsor exit, “Why not make a project out of it… a job.” I have to be at winery at whatever time THEY dictate, no? So, I dictate my own time, in this project… ‘sight 04:00’ I’m calling it. And if I don’t clock in shortly after, then there’s consequence. That being I’ve let self down, I wasn’t working and active, assiduous as I’d liked, aimed for. No work done, and that’s the death sentence. But that won’t happen. I won’t entertain anything such, or even partially like. My amplitude and trough amplification, “productivity” will be seen through this new project. 4am… what the hour says to me, and bluntly, how much I get done. How the day’s remainder plays and fairs as a consequence of waking so early. People around me looking around the room as I am, but I see everything as a page, a character, more love and dimensions and cosmos to whatever — Where am I going with writing but further into the act, more into a dash and sprint of moments, till tomorrow when I’m awake at 04:00. Attaching it to the classes I teach, if I don’t wake early I let them down and nothing’s written and I’m less a writer. Probably harsh, probably irrational, but that’s what the space I’m putting self in. My mentality… everything I do today, during day, and tonight, for ‘sight 04:00’. I want to see what the early hours say to me, what they’ll make me do, and how if I make it a habit and true writing/book project what will take shape, precipitate. The morning… the morning… there’s gems in this morning and tomorrow’s, and the people around me affirm just that. One day I’ll be in my 80s, maybe, not moving as sped and madly as I now do. But for now, I do… I do. I will. And I will keep with my keep.